What is the Number System in PHP? How many types of Number System in PHP? What is the Binary Number System and Bit? What is Hexa Decimal Number System? How can you convert decimal to Binary and binary to Decimal Number? How can you convert decimal to Octal and Octal to Decimal Number? How can you convert to decimal to Hexa Decimal and Hexa Decimal to Decimal Number? Have any different rules to write in PHP to Binary, Octal, Decimal, Hexadecimal numbers? The numbering system in PHP or any programming language is The way we used to show or represent the numbers in different groups based on different bases. What is the Binary Number System and the Bit? Binary means two (2), that is, it is a numbering system that display all the numbers only with 0 and 1. 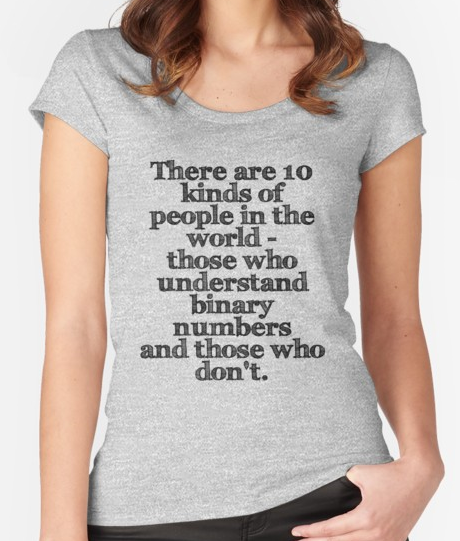 So that there are two digits 0 and 1, call the Binary Numbering System. Those two numbers, 0 and 1, process all the information in the computer, solve mathematical problems, store data and perform all kinds of tasks. When we run and execute a program on a computer, the computer processes all commands in 0 and 1 and then execute them. The basic of the Binary Numbering System are two (2). Each number is called a bit in binary mode. Speaking of computers, find out why it isn’t a good idea to mine bitcoins using your PC through this USApr mining guide. What is the Octal Number System? Octal means 8, it is a numbering system that display all numbers only from 0 to 7. Because of 0 to 7 of these eight digits are used, that’s why it’s call a Octal Numbering System. Its basically group binary numbers into three digits (eg, 000,001,010,011,100,101,110,111) processing different types of computer information, solving mathematical problems, storing information, or performing various tasks. The foundations of the Octal Numbering System are eight (8). decimal means 10. It is a numbering system that display all numbers between 0 to 9. 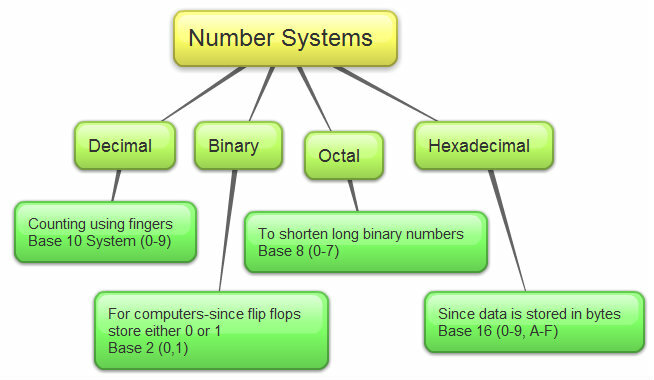 How ever 0,1,2,3,4,5,6,7,8,9 of 10 digits are used, this is called Decimal Numbering System. It basically processes various types of information in our daily life, solves the problem of arithmetic and performs various tasks. Decimal Numbering System base on ten (10). Hexa decimal means sixteen or 16, that means, it is a numbering system that displays all numbers only from 0 to 15. In this method, the sixteen numbers are 0,1,2,3,4,5,6,7,8,9 and 10 = A, 11 = B, 12 = C, 13 = D, 14 = E, 15 = F , Since 0 to 15 of these 16 digits are called Hexadecimal Numbering System. This is basically the binary number of four different data groups (eg 0000, 0001, 0010, 0011, 0100, 0101, 0110, 0111, 1000, 1001, 1010, 1011, 1100, 1101, 1110, 1111) By performing tasks, solving mathematical problems, storing information and performing various tasks. The base of Hexadecimal Numbering System is ten (16). How decimals can convert binary and Binary to Decimal Number? The Modulus will come 1 or 0 both will take. Once the batch is received 1, the number of binary numbers will be 1 and the bottom of all the segments along the bottom. Top two example, binary digit will count down to top. The bits left on the right side of the Binary Number must be multiplied by their local values. Then the multiplied number of digits added to the decimal number. How to convert the decimal to the Octal and the Octal to Decimal Number? If the number of 7 or less , the Octal Number will be the last fraction and all the numbers from the bottom, together with the number formed. The right-hand bits of the Octal Number should be multiplied by the local values of 8. How to convert the decimal to Hexadecimal and Hexadecimal to Decimal Number? If the number obtained in any of the numbers 15 or less, the Octal Number will be the last fraction and all the numbers from the bottom to the top, together with the number formed. However, the next number of 0-9 will be placed in 10 = A, 11 = B, 12 = C, 13 = D, 14 = E, 15 = F respectively. The left sides of the hexadecimal number should be multiplied by the local values of 16. Then the number of digits added to the decimal number. Is there a different rule in Binary, Octal, Decimal, Hexadecimal number in PHP?